Common Ground is a continuation of the BBC 2004 adaptation of North and South, and starts right after the epic train station scene. As always I was thrilled to read more about the trip to Milton and John and Margaret’s lives, especially because Common Ground proved to be a very balanced paced book which kept my attention from the beginning until the end. 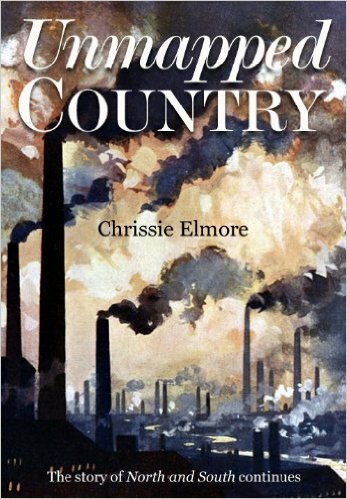 Unlike many novels that are mainly focused on John and Margaret’s relationship, or the working classes’ struggles, Common Ground actually gives a lot of relevance to the difficulties faced by the masters, namely the effects speculation had on their business. I personally thought it was interesting to see the author explore the topic of speculation itself instead of just mentioning it, the historical research behind this idea and its transposition to the book made this a very unique variation. Also, the fact that it’s not the workers but the masters facing difficulties made this story particularly different and refreshing as in a twist of events the masters need to come together and unite their efforts to save their business, with Thornton assuming a main role, of course :). I will not go into much detail because I don’t want to spoil the book, but it is indeed a very different storyline. Another change in this book was Hanna Thornton’s character who was not portrayed as an overbearing mother and cold distant mother in law. Curiously enough, in Common Ground the anti-hero role is delegated to Fanny who is shown to be an irrational girl posing many problems to our couple. 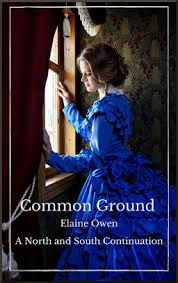 This was the first North and South book Elaine Owen released, and I hope she continues to write books on this category because Common Ground was indeed a different and original book with a lot of creativity in the narrative. Elaine Owen is stopping by at From Pemberley to Milton next week for an interview on her P&P and N&S works, so if your curious, don’t miss the opportunity to get to know her a little better. 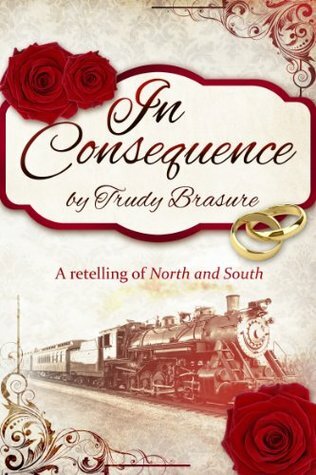 As you must have noticed, last week I returned from my holidays and posted a review on In Consequence, a North and South variation by Trudy Brasure. 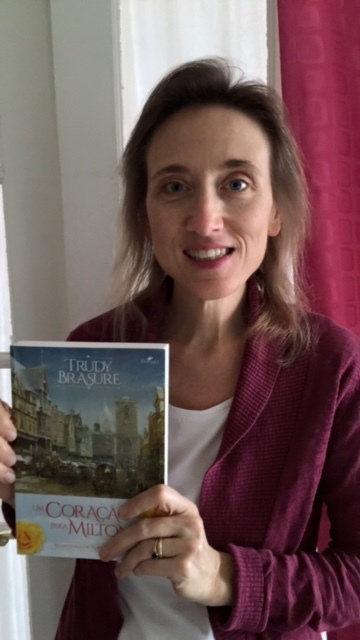 But before going on holidays, I also told you that this month From Pemberley to Milton would have a lot of surprises with interviews, guests post and giveaways so, today I am happy to share with you an interview with author Trudy Brasure. 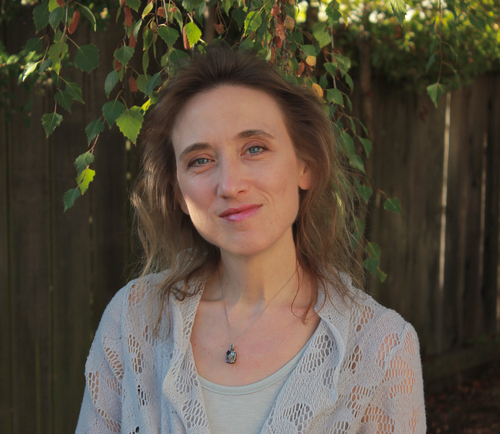 If you already know Mrs. Brasure I hope you find this interview interesting, and in case you don’t, I hope it makes you curious about her and her work. She is one of the biggest supporters of North and South discussion groups as well as one of the most known authors of N&S fan fiction, and I was very happy to receive her in my blog. When was your first contact with Gaskell’s work and what captivated you about it? I stumbled upon the BBC’s adaptation of “North and South” in October 2009. It was a pivotal event for me. I’d never heard of Elizabeth Gaskell before. Richard’s performance of the lonely and misunderstood John Thornton was utterly riveting. I don’t think I’d ever seen a romantic hero as vulnerable as Thornton was during that profoundly moving scene with his mother the night before he proposed. The intensity of emotion in this love story is amazing. Both Margaret and John are striving so hard to do what is right in life, and they’re holding their families up — yet they’re really both quite alone. I know you are not alone in being captivate by Armitage’s performance. Do you think he is the biggest reponsible for North and South’s success? I do think that Richard Armitage’s performance of John Thornton is the single most compelling factor in the BBC’s 2004 production of “North and South.” Gaskell’s story is unique in its exquisite description of Thornton’s anguish, and Armitage is able to brilliantly convey all this intense emotion — often without even saying a word! Armitage has brought thousands to Gaskell’s great story, and I’m immensely grateful he was chosen for that role. It was perfection. However, I must add that this particular BBC production was a masterpiece in every way. The screenplay, the cast, the cinematography, the setting, and the music all combined to make this mini-series truly stunning. And Gaskell’s story is well worth the attention and praise. Her themes are still very relevant to today’s problems. Why did you decide to write North and South fan fiction? I couldn’t stop thinking about the heartache Margaret and John went through in Gaskell’s story. I was convinced that if they had only known that the other was in love with them at that terrible good-bye scene when Margaret leaves Milton, they could have avoided a painful year apart. So I began to image a scenario in which they could be brought together much sooner. I spent days and weeks thinking about the exact circumstancs and dialogue. I had discovered the glorious world of fan fiction at C19 since my discovery of “North and South,” so I knew that people wrote their own version of what happened to Margaret and John in sequels and variations. The story unfolding in my mind was becoming so clear, I knew I wanted to try to write it out. Thank goodness for C19! It was a lovely place to try my hand at writing fiction. C19 is definitly heaven for any North and South fans. When did you know it was time to go from writing in C19 to publishing a book? I never thought of publishing my story when I wrote it. But then a fellow C19 member suggested I post “A Heart for Milton” at Wattpad.com, and I found that my story had a much broader appeal than I ever imagined. It gave me confidence that I had written something special. 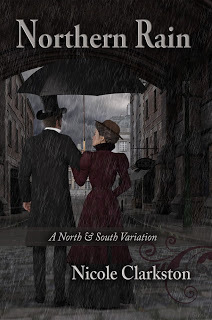 Sometime later I began to notice how many Austen stories were being self-published, and I saw that there was one “North and South” variation being sold at Amazon. 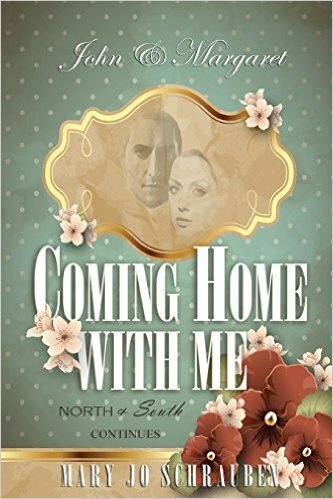 I really wanted to share my story with as many “North and South” fans as possible, so it wasn’t long before I decided to try self-publishing. It’s been a wonderful experience – even the bad reviews. They’ve helped me understand how others see Gaskell’s story. Both your books are variations from the original story, do you have a particular preference for this genre or can we expect a sequel, prequel or diferente POV in the future? I love taking one moment from the original story and changing it to see how everything unravels in a completely new way. I love putting the characters in new situations to see how they would react. I don’t think I can ever write a straight sequel. I adore writing the angst involved when Thornton is still uncertain of Margaret’s love. Tortured Thornton is just too delicious to avoid. My current work in progress takes a twist in a whole new place, far from the middle of Gaskell’s work. I seem to keep creeping further and further toward earlier chapters with my variations. You’ve got me really curious about your new work, what else can you tell us about it? As I mentioned, I love to make one twist in the story and explore how it would change events and the interaction between the characters. I don’t want to give too much away, but my basic question for this new variation is: what if the circumstances and setting of John and Margaret’s first encounter were different? Both in A Heart for Milton and In Consequence we see a lot of romantic scenes, but we are also presented with a portrait of Victorian society. Did you need to do a lot of research to write these books? I was reading everything I could about Abraham Lincoln before I happened upon Gaskell’s story. So I had already been immersed in the Victorian world for some time. I’ve always loved the Victorian Era. But yes, I did much research to try to portray something of the reality of that time and place. I also learned a great deal about Victorian society and mannerisms from the “North and South” discussions archived at C19. Have you ever imagined a variation where Bessy wouldn’t die? How do you think that could impact the story? I can’t say I’ve ever thought about saving Bessy from her fate. It seems like she’s already quite ill by the time Margaret meets her. If Bessy hadn’t died, Margaret wouldn’t have been so friendless. Bessy would have loved watching Margaret become Thornton’s wife. Then Bessy would surely have been invited at some time to dine at Marlborough Mills! Apart from John and Margaret, which is the character that you mostly like to write and develop? I really enjoy developing Hannah. Outwardly, she has such a tough shell. But there is a warmth underneath that I love drawing out. It would be interesting to write her history. But I don’t think I’ll ever get around to that! I also love writing Higgins and Mr Bell with elements of their insight and humor. You say Hanna has a warmth underneath that you love drawing out, but I’ve seen a couple versions who portray her as an evil person. Why do you think she is so controverse amongst readers and writers? Hannah Thornton truly is something of a complicated character. She’s a bit like her son: tough outer shell, but tender inside. However, her tender side is hidden much more deeply than John’s. I think the misunderstanding concerning Hannah comes from the tendency to see only the surface of the character – the crusty, unsmiling part. Also I’d have to say that it would be difficult to truly comprehend Hannah by just viewing the mini-series. If you haven’t studied the book, you will probably miss the hints that show us that Hannah actually admires Margaret’s strength, spirit, and honesty. The only thing that she dislikes about Margaret is that Margaret looks down on her son and hurts him. Once she sees how much Margaret truly admires and adores her son, I think she will grow to appreciate Margaret. Even if she can’t be first in John’s life anymore! It is impossible to think of North and South without thinking of Richard Armitage. Many people claim he would be perfect for a Mr. Darcy role, but for me Armitage will always be Thornton and Firth will always be Darcy. What are your thoughts on it? 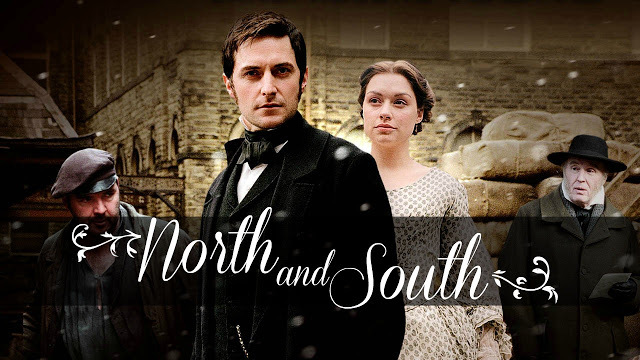 I have to confess that I watched and read “North and South” first before watching and reading “Pride and Prejudice.” It was “North and South” that ignited my interest in period dramas and classic romantic literature. So I can’t say I was ever firmly in love with Darcy since Thornton is my first love. No one can beat Richard’s performance, however. He has defined John Thornton for the screen probably for at least a half century. I’d have to share my surprise in finding out that not all fans of “North and South” interpret Gaskell’s story in the same way. My guess is that most Austen fans generally agree on the basic themes and character development of “Pride and Prejudice.” But there are varying views on Gaskell’s messages and her character development, including those that feel that the author was unable to bring the story’s conflicts to a satisfying conclusion. But mostly, I just love discussing “North and South” with people! There’s so much in the book to explore. To all my portuguese speaking readers, I bring some news. A Heart For Milton was finally translated to portuguese!!! As you can see in the picture, Trudy Brasure is holding a copy of Um Coração por Milton. 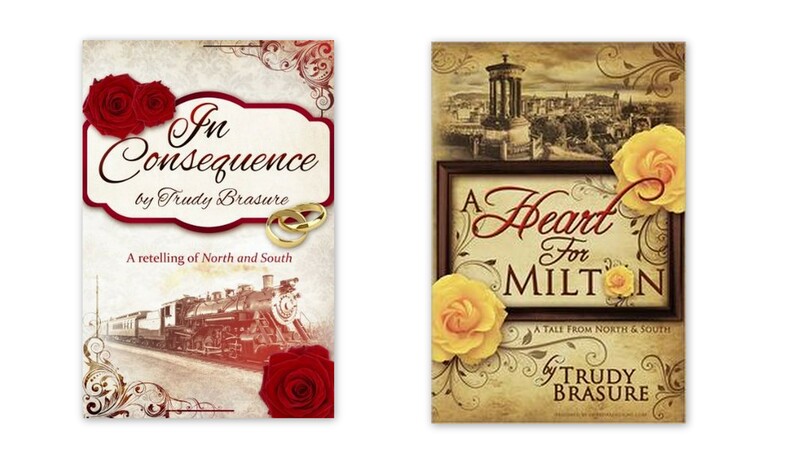 Trudy Brasure would like to offer one copy of In Consequence, e-book or paperback (winner’s choice) to our readers at From Pemberley to Milton. The giveaway is international and to participate all you have to do is place your own questions to Trudy or just share your kind words and love with her by leaving a comment on this post. The giveaway is open until the 17th of March and the lucky winner will be randomly picked and announced on the 19th of March. Good luck everyone, and I hope you enjoyed the interview!! !